The Island of Paradise: indeed the word ‘paradise’ does not only encompass the extensive range of jaw-dropping beaches, majestic mountains and verdant valleys that you’ll find on the island. Bali is also Indonesia’s very own paradise of food. People from different nationalities and countries make their way to Bali regularly. With that being said, Bali is itself made up of diverse cultures and backgrounds. This not only affects local culture, the art scene, and lifestyle, this diversity inadvertently influences the culinary scene as well. And aren’t we happy for it! We can now find almost every delicious type of cuisine from around the world on one little island. When you’re talking about Bali’s food scene, ‘unique’ comes to mind. Although mainstream food can be found, it certainly shouldn’t be sought for when in Bali, because the island is filled with some of the most uncommon dishes and restaurants you’ll ever come across. Local cuisine gives the island it’s own culinary identity, with the likes of babi guling (suckling pig), ayam betutu (herb chicken delicacy) and satay lilit (fish mince skewer) being local favourites. They give visitors something to look forward to, as food has long been the window to cultures! Of course, there is also other Indonesian food found throughout Bali, giving visitors a taste of the whole archipelago. However, things get really interesting when restaurants and chefs get creative. 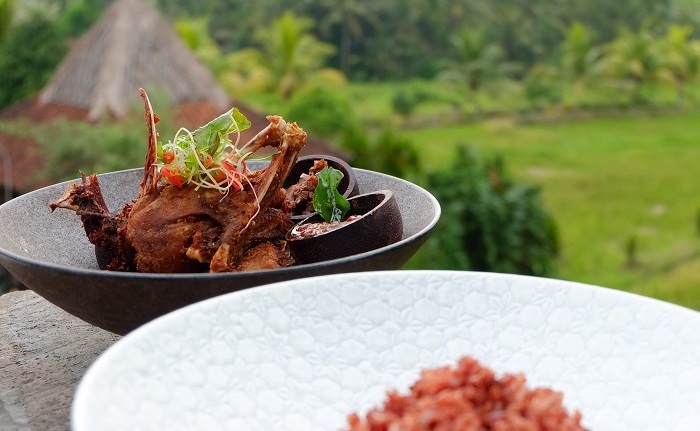 Ubud has become a hub for European-style dishes using local Balinese ingredients. 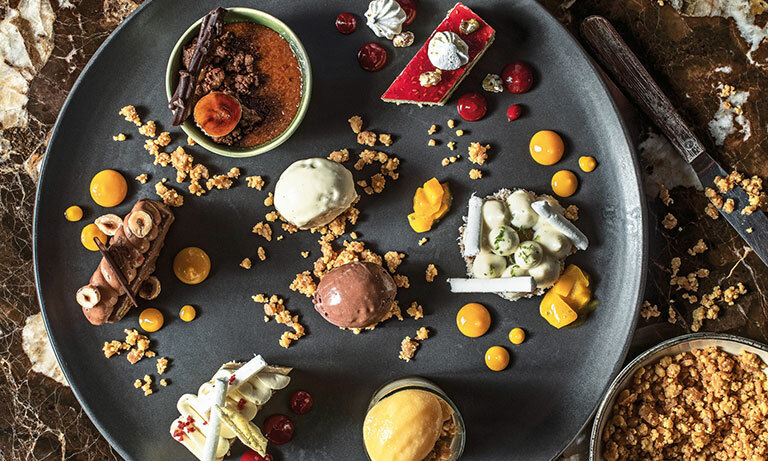 Examples include Mozaic Restaurant in Ubud, helmed by Chef Chris Salans; Locavore, on Asia’s 50 Best Restaurants list; or the newly opened Aperitif at the Viceroy Bali. Then there are those bringing Asian food up to a fine dining level, such as Sarong, by Will Meyrick. Also using fresh, local produce, Will Meyrick’s many restaurants bring Indonesian and South East Asian dishes to an elevated experience. These are but a small sample of the truly remarkable restaurants now uplifting locally-sourced produce and Asian inspired flavours. Beyond the sophisticated dinners, Bali has developed in other ways. The island’s food scene has also grown to accommodate the newest dietary trends or lifestyles from around the world. Nowhere else in Indonesia will you find somewhere with options for vegetarians, vegans, gluten-free, flexitarians, plant-based diets, the list goes on! For vegetarians/vegans especially, the days of simple salads for a plant-based diet are long-gone as creative restaurants fashion faux meats from soy and mushroom, creating dining experiences you won’t believe are meat-free. 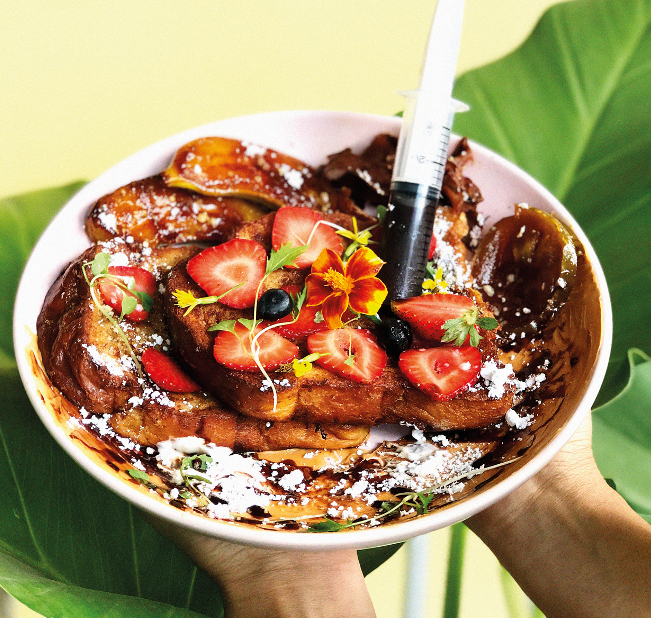 Examples include Alchemy in Ubud, Peloton in Canggu, Kynd, Coffee Cartel and Balibola in Seminyak — vegetarian spots whom go above and beyond a bowl of leafy greens when it comes to breakfast, lunch and dinner. 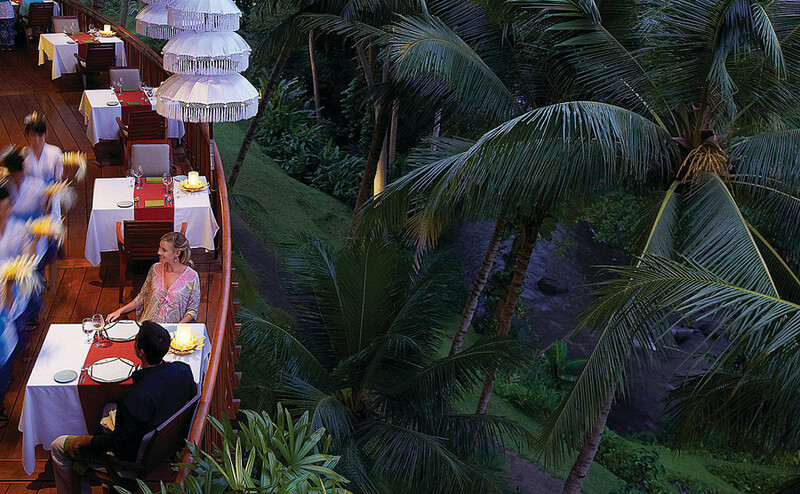 Then, beyond the food, Bali herself adds to the experience, providing breathtaking views that restaurants offer their diners. Mountain views, beach views even forest views… Bali has the lot. From the gorgeous cliffs of Karma Kandara or Ju-Ma-Na, to the green valley vistas of Ayung Terrace at Four Seasons Sayan , it really is the whole package. 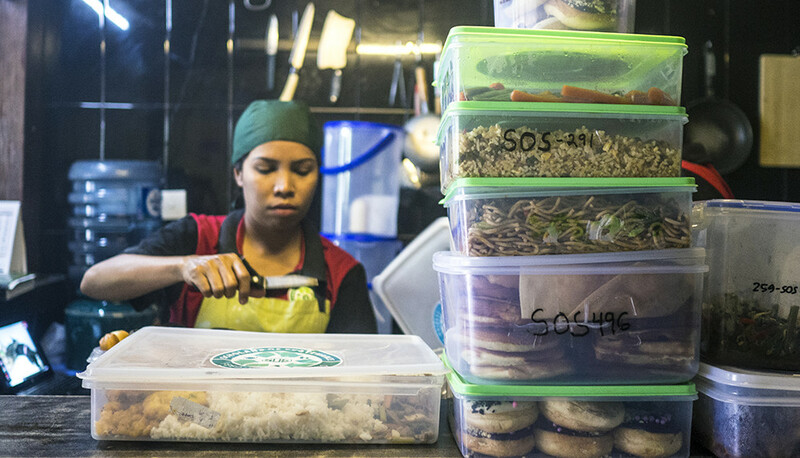 Last and certainly not least is Bali’s food and hospitality industry’s response to waste; restaurants and hotels are now making sure to reduce or completely remove plastic from their establishments and some are also committed to reducing food waste . Whilst not adding to the dining experience itself, this has become an increasingly crucial factor in consumer’s choices. Yes, there is always a but. Some may argue that whilst Bali’s modern food options have grown substantially in both quantity and quality, to either match or overtake its capital city rival, Jakarta’s rich and eclectic street food scene will never be beaten. As the nation’s capital, Jakarta benefits from an amalgamation of all the country’s cultures, bringing with them food from their region. It is an experience in itself, without a doubt. So with Bali’s wide range of places to eat, be it breakfast, brunch, lunch or dinner – – be it a fine dining establishment, a vegetarian café or a tasty babi guling warung (we haven’t even mentioned the coffee shops! 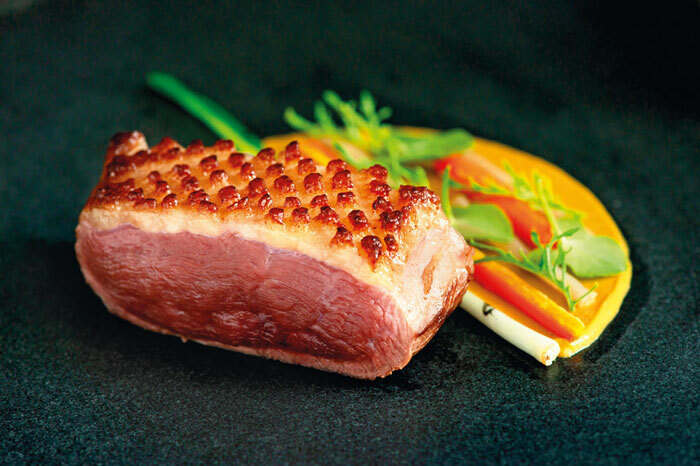 ), does it make this paradise island also a paradise for foodies? Does the locally-sourced produce and eco-friendly practices give the island extra points? Not to mention Bali started the first official food festival in the country: Ubud Food Festival . Is this all enough to crown Bali as the food capital of Indonesia? Well, we can’t decide for you. The only way you’ll know for sure is getting out there and eating… a lot! Read NOW! Bali’s April 2019 Issue “A Culinary Journey” to find some great restaurants on the island. Available to read online or download for free for a limited time only!